Your Brain On Sleep Deprivation! 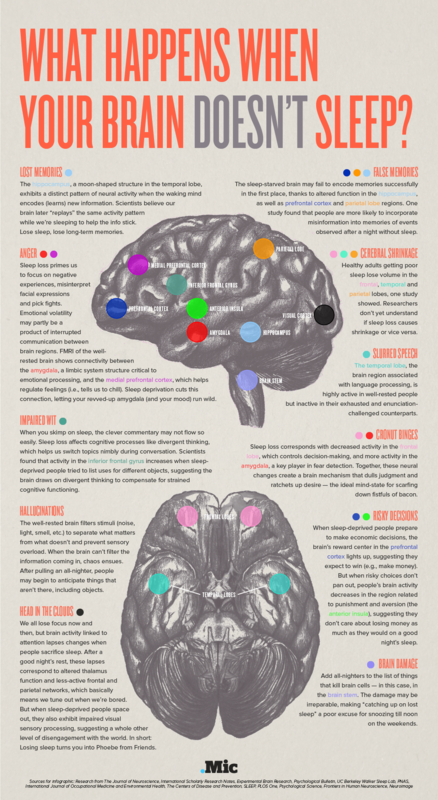 This info graphic explains what happens to your brain, and what it means for you when you don’t get enough sleep. If you would like more information regarding this info graphic and the studies used to edit the content click here!